Last November, my best friend and I took a food-themed trip to Tokyo and it was the best decision we ever made. We spent almost 10 days there exploring food and drinks, below is the list that I have and perhaps you can pin it as a reference the next time you visit. They make all sorts of gluten free bread. I bought the earl grey loaf and it was the best bread I ever have! THE BEST PANCAKE I EVER HAVE! There are two outlets in Tokyo. Only the Aoyama branch serves the pancake. Be there early and expect a line. Situated at Omotesando, this coffee place is perfect after shopping. There are a few chains for Blue Bottle, this is one of the nicest in term of the atmosphere. We stumbled upon this coffee place meanwhile walking to The National Art Center. So good that we went there twice. The egg and udon is to die for!!! The broth and the ramen here is super fresh. I personally prefer the soup one. The ramen chain that never fail you. I love love the yuzu broth. One Michelin Star soba sure made my taste buds dance. Located in Shinjuku, make it in your to-eat list if you are nearby. They handmade their udon, hence it was so chewy when I had it. The dipping sauce added with raw egg was so amazingly good too. Cheap, big & delicious. I swear this was the best tempura don with 1 whole anago, tender ika (cuttlefish), 2 big prawns, 1 green pepper and 1 slice of seaweed and tempura egg. They have queue like 24/7, so please go there either as early or late as possible to avoid lining up more than an hour as the shop itself is very small. Needless any introduction. They are so successful that they have extended their shop to offer dining-in experience too. Deep fried wagyu cutler never been better, and yes I ordered the big one. Cheap and affordable yakitori, hence why we ended up over-ordering. Two-michelin star omakase just made us speechless. Since 1928, Lupin is one of the oldest speakeasy bar in town. Expect to pay cover charges apart from the drinks, which are priced on the higher side. This affordable, cheerful, crowded bar is the perfect place after working hour. With competitive price at 390 yen for half pint and 690 yen for a pint, and you can choose up to 30 different brews on tap. I have covered some coffee, restaurants (mostly noodles), don, sushi, and bars. I hope you guys love eating as much as I am. More food trips like these please. Happiness is when you have a good hair day. Women can go through years of their life finding the best hair dryer and be just fine - albeit a little frizzy. But who wants to live like that? We all deserve a blowout without frizz, flyaways, or any other kind of foolishness a hairdryer that's not up to snuff will add to your precious crown. 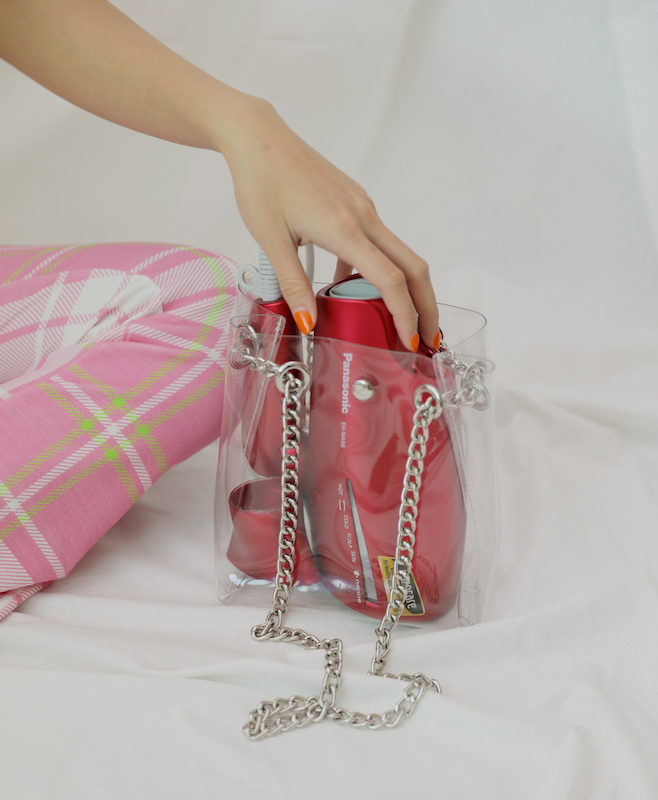 Women deserve to get that flawless look even in the comfort of our own home. Given all there is to consider, I would recommend this new Panasonic EH-NA98 hair dryer. NANOE hair dryer minimizes frizz and reduces hair and scalp damage. 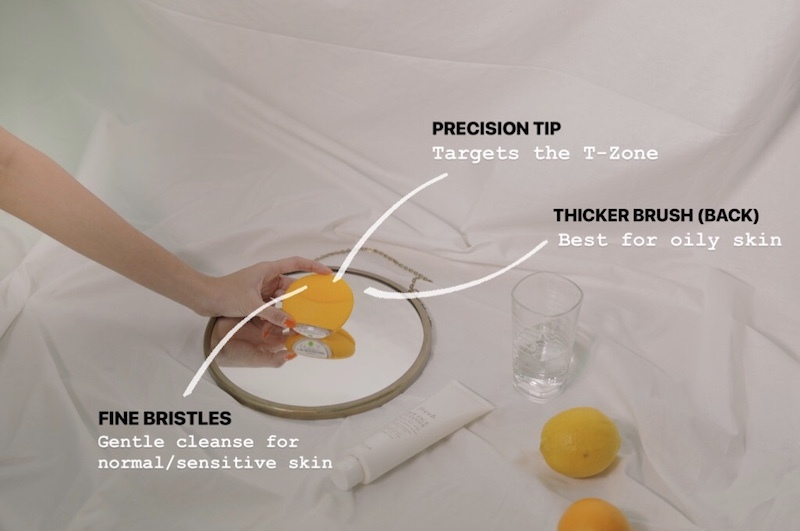 NANOE technology is nano-sized electrostatic atomized water particles. Normal hair dryers typically dry up your hair because moisturize evaporate while drying. To counter this, modern hair dryers like use negative ions to adhere to the hair surface, making hair smoother. Panasonic's unique ultra-fine NANOE ions contain 1000 times MORE the moisture held by regular negative ions, which helps moisture penetrate deeper into our hair results smoother and shinier hair. Apart from hair itself, NANOE moisturizes scalp to keep it healthy, preventing from dryness that typically cause damage to your hair. NANOE also helps to suppress static electricity in hair, neutralizing the positive charge that usually generates on the surface of hair. This prevents hair from sticking up or standing at the end. The higher voltage means the less drying time needed. The shortened drying time means less exposure to heat and less damage. This cool air helps to set the style. It tighten hair cuticles and resists friction damage as well as UV rays. It's one of the crucial feature making a blowout an easy job. Panasonic EH-NA98 hair dryer not only check list the above features, it also offers skin care mode that is beneficial to busy working women as a beauty care device. So after blow-drying your hair, you can switch it to Skin Care Mode to blow warm air onto face for about 1 min. This NANOE technology helps to retain facial skin moisturise. 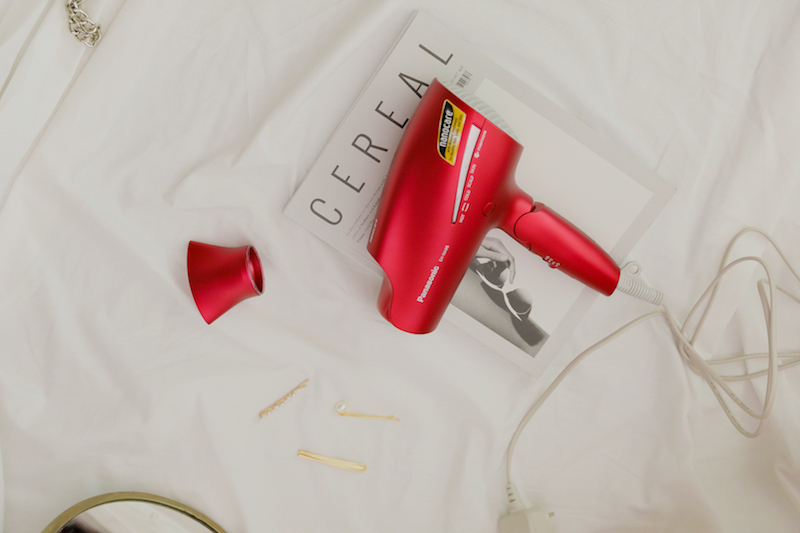 I have been a Panasonic hair dryer user since forever (read here), and I personally think for its price point it is value for money with its new all-in-one features. With this upgrade, I do notice an improvement even I colour and style my hair on a regular basis. With Panasonic EH-NA98 hair dryer, you don't just dry your hair, you beautify too. Hawaii is one of those places that I can dream of. Thanks to Airasia and Hawaii Tourism, it's another ticked off my bucket list. From tropical beaches and world class surf to fiery volcanoes and lush rainforests, it can be tough planning what to do. So if you are visiting Hawaii, Oahu for the first time, then make sure to read this article. And when you are ready to book for flight, Airasia.com can help with that too! Peak season starts from Dec to April and I heard is very famous destination for Christmas holidays. So you don't like to travel with bunch of tourists, you can visit in October or any other month throughout the year as things are slowing down a little. Oahu is the classic Hawaiian island, other than Big Island, Maui, Kauai, Molokai and Lanai. Basically is like Phuket island and the rest are Koh Lipe (better understanding for Asian travellers). It's well developed with wide range hotels, restaurants and historical places to visit. Kakaako is an up and coming cool neighborhood located in between Waikiki and downtown Honolulu. It feels like a scavenger hunt while each turning on the streets you get to see a new colour pop creation. This one fine lady here is my favourite. can battleship ever built and the last to be decommissioned. The surrender of the Japanese on the deck of the Missouri brought the Second War War to an end. You can choose to take a self-guided tour or lead by an expert historian whom the tour will take you to deep inside the inner workings of the ship including the engine rooms and gun turrets. Aviation Museum is one of the principal Pearl Harbour Historic Site, located near the Battleship Missouri in the battlefield hangers of historic Ford Island which were attached by Imperial Japanese Navy on Dec 7, 1941 (beginning of WWII). You can learn about the attack of Pearl Harbour, the Battle of Midway, and America's mobilization for war, manufacturing aircraft and training pilots through the showcase of airplane models. You can experience Hawaii from the high skies above Oahu, and see the island's stunning hidden valleys, rainforest, waterfalls and many more. This one hour ride started off by gliding over the vivid turquoise coral reefs of Waikiki, followed by beautiful coral formations in Kaneohe Bay, cliffs of Nuuanu Valley rainforest, breathtaking coastline to legendary Sacred Falls and the panoramic Dole Pineapple Plantation, and finishing off with Pearl Harbour, the Arizona Memorial and the Battleship Missouri. If adventurous traveler, you need to visit Kuoloa Ranch. It is like a vast adult playround and one of the largest expanses of valleys and peaks in Hawaii. Here is also a very popular film location with many of the Top Jurassic Park scenes were filmed. Here's one of the scenes in Kong: Skull Island. 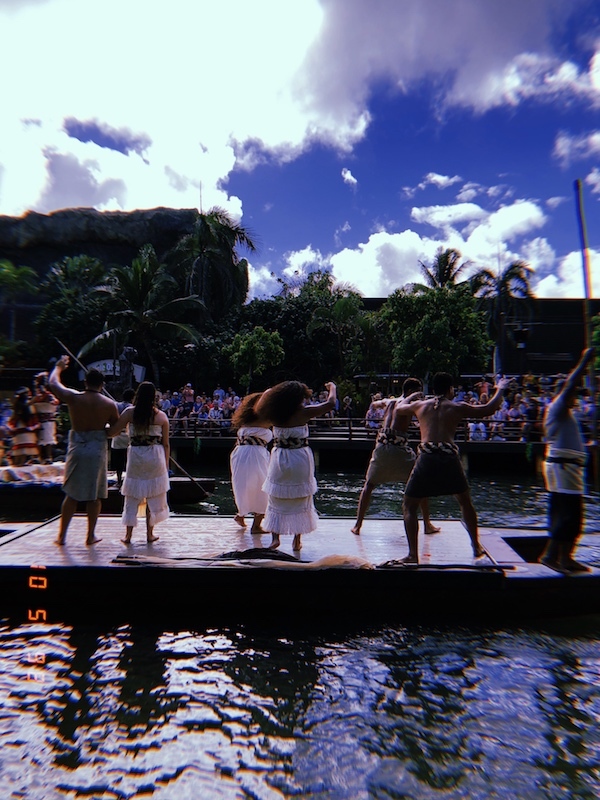 You can spend the whole day at Polynesian Cultural Center, which covers cultural knowledge about 6 island villages including Hawaii, Fiji, Aotearoa (New Zealand), Samoa, Tahiti and Tonga. Set on 42 acres along Oahu's North Shore, the Polynesian Cultural Center has a lagoon that hosts daily canoe tours, takes guests on a journey to learn about Hawaii's royalty while enjoying traditional Polynesian food. Make sure you bring enough money when you come here. The Waikele oulet offers bargains in over 50 legendary brands. I would definitely recommend you to shop some Calvin Klein, Tommy Hilfiger and Levi's. There is no doubt that Waikiki beach is the top of all tourist attractions. Along this world famous, 2 miles stretch of white sand beach, there are a number of great spots to go for tanning, surfing, and taking in a beautiful Hawaiian sunset. When we finish at the beach, the nightlife of Waikiki is just steps away making it super convenient for travellers. We spent good quiet hours at Sunset Beach. It is also one of Oahu highlights that makes the perfect all-day beach affair. That pretty much sum up all the activities and stay tune for my Hawaii's food/drinks post.